This match was one of the most impressive performances put on by Arsenal in a very long time. The pressing movements of the Gunners were set up perfectly for Liverpool’s system in the first half. 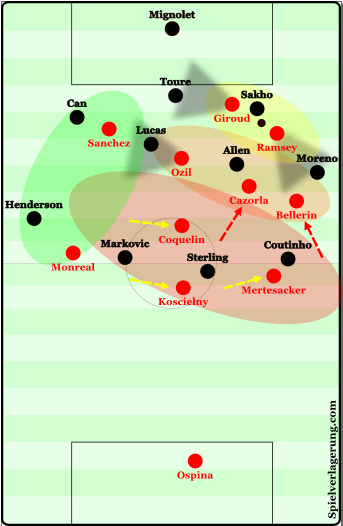 Couple the pressing with a more efficient positional structure for combinations – and you get a halftime scoreline of Arsenal – Liverpool 3:0!